It's time to spoil yourself ! Personal Care brands Mandy’s, DX Smooth and DX Pro- Series (owned by Lee Chem) partnered with TLC Marketing to spoil consumers who purchase their products. 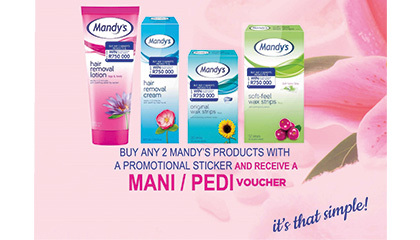 Consumers who purchase any 2 Mandy’s or DX Pro- Series products will receive either a manicure or pedicure. 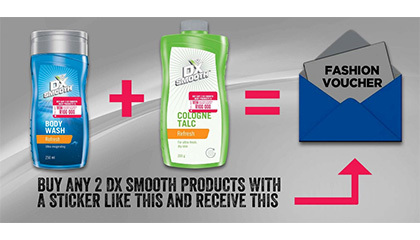 Consumers who purchase any 2 DX Smooth products will receive a shopping voucher. The campaign is communicated via a sticker on pack. Each sticker contains a unique code which will allow the consumer to redeem their reward via a USSD line.